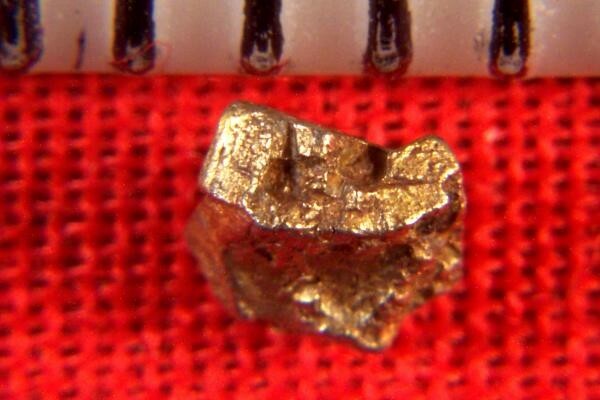 These natural Platinum Nuggets from Russia are very rare, but to find platinum nugget crystals from this location that are naturally layered with gold is amazing. 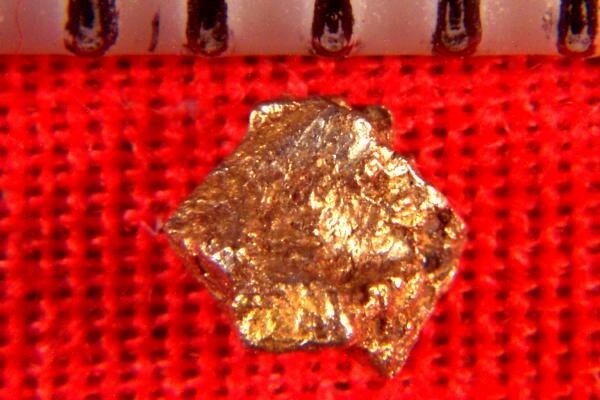 This platinum nugget is very rare and it is almost completely covered with gold, which is unique and unusual to see. A real geological phenomenon. This spectacular platinum specimen is over 1/8" (4 mm) long, and weighs 3.7 Grains (0.24 Gram). 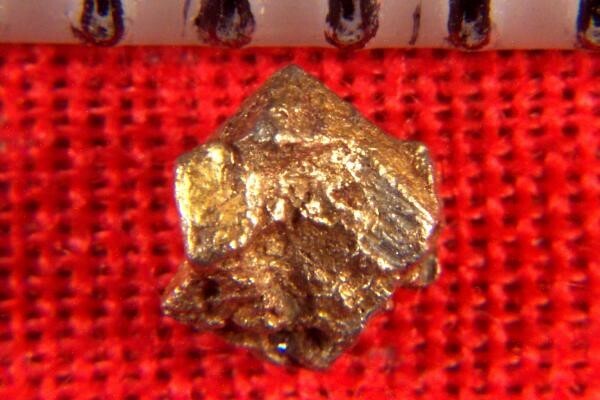 Platinum Nuggets like this one are very rare and make a great investment and are a wonderful addition to any mineral collection. It comes with a location card authenticating the discovery location and certifying the fact that it is a natural platinum crystal nugget.